On Friday, April 18, NHL star Jarret Stoll of the LA Kings was arrested and charged with drug possession at the swimming pool area of a Las Vegas resort, according to news reports at CNN. Stoll, who is 32 years old, was reportedly charged with possession of ecstasy, cocaine, or other controlled substances. Stoll was taken to the Clark County Detention Center, where he was later released on $5,000 bail. An additional news article states the charges Stoll faces include possession of controlled substances including class 1, 2, 3, and 4 substances. A native of Melville, Canada, Stoll has played with the LA Kings since 2008. A spokesperson for the team said on Friday that the team was aware of the police reports, and that the organization had begun conducting an internal investigation out of concern. No further comments were made, as facts are continuing to be gathered by the Kings. A more recent news report at CBS Sports revealed that at the time of his arrest at the Wet Republic pool at the MGM Grand in Las Vegas, Stoll had 8.1 grams of ecstasy and 3.3 grams of cocaine. The hockey star allegedly tried to hide the drugs while going through a security check point at the pool inside his board shorts. As of Monday, April 20, no criminal charges had been filed against Stoll by the Clark County district attorney. The LA Times reported that while a felony court return date of July 1 had been set, it had not been determined by the district attorney as to whether the case would go forward. 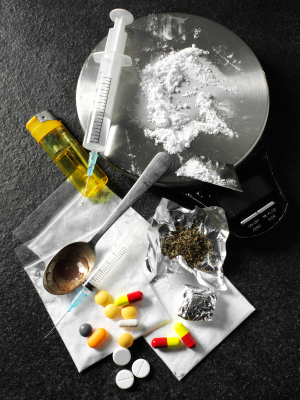 Michigan drug crime attorneys know that for most individuals, charges of possession involving cocaine, ecstasy, and other illegal drugs are serious. For example, a conviction for possession of less than 50 grams of cocaine can leave the offender facing up to four years in prison along with fines of up to $25,000 in the state of Michigan. According to the state’s penal code 333.7403, those found guilty of possessing even a small amount of ecstasy may face a maximum of 10 years in prison. Driver’s license sanctions also apply in drug cases, with the offender’s license being suspended if convicted. Regardless of the charges against you, it is vital to consult with an experienced and dedicated Michigan drug crime lawyer who will work to obtain the best possible outcome. When arrested on drug charges, your legal rights must be protected, along with your freedom. Do not take chances with your future by failing to speak with an attorney.